Unusual & themed hotels UK. Ideas for unique romantic getaways UK. One of the most romantic & themed hotels UK for unusual & unique romantic getaways UK. 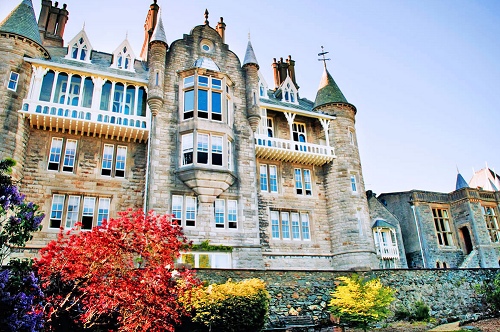 Magnificent French gothic-styled château boutique hotel on the isle of Anglesey, North Wales, with lovingly restored themed hotel rooms and function rooms for exclusive use. Château Rhianfa stands proudly amidst spectacular gardens on the isle of Anglesey, with views over the Menai Strait and the towering peaks of Snowdonia. From the music and drawing rooms to the turret showers and summer and winter balconies, it’s easy to be impressed with this beautiful château. This hotel and exclusive-use venue, set in one of the most beautiful parts of Wales, is ideal for short stays, family vacations, wedding receptions, celebrations, meetings and corporate events – Château Rhianfa is a truly sumptuous property. One of the most unique & romantic themed hotels UK, a great destination for romantic weekend getaways UK. Nestling in Bournemouth’s fashionable Soho quarter, the Chocolate Boutique Hotel is the perfect place to unwind. Here you’ll find a warm, friendly welcome, cosy chocolate themed hotel rooms and chocolate galore. From the Maya and the Montezuma to the Aztec and Mocha, all our cosy chocolate-themed rooms are decorated in warm hues of chocolate, cream and caramel. Choose from scrumptious suites, divine doubles (including deluxe and standard), tantalising twins and one sweet single. 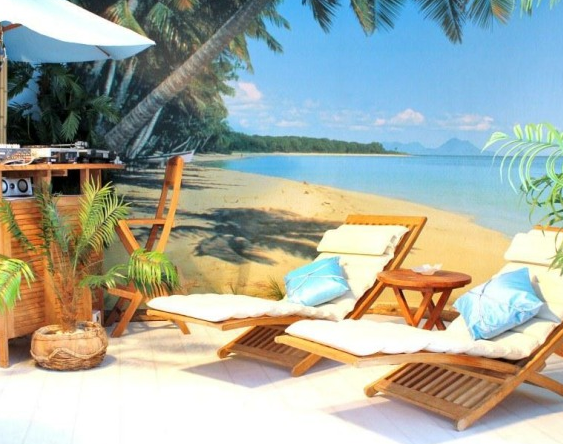 Exclusive sumptuously decorated sandy beach front holiday home – one of the unusual themed hotels UK, just over an hour from London! The Beach Sun Retreat is an exclusive and private sandy beach front house located in Kent – the beautiful garden of England. 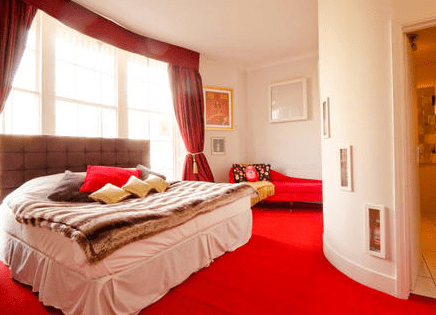 Featuring a Real Sunlight multi sensory room, large stylish communal spaces and 5 boutique individually designed bedrooms, the house is the perfect venue for small parties, family holidays and romantic getaways UK. 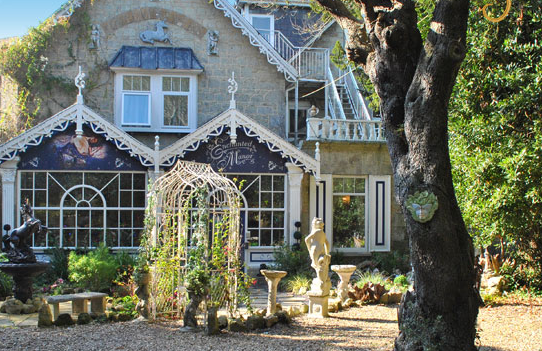 One of the memorable themed hotels in UK for unique & unusual romantic getaways in England. You can find here: Private sandy beach access, Cinema room, Jacuzzi bath, Boutique en-suite bedrooms, Large alfresco themed living spaces, Large gardens with illuminated Koi pond, Real Sunlight fully replicates natural sunlight, and much more. One of the most unique themed hotels UK – a perfect paradise to propose to your partner, for romantic breaks, special occasions, intimate Fairytale weddings, romantic getaways UK, honeymoons and vow renewals or for just a tranquil breakaway from the stresses of life. To make your romantic break on the Isle of Wight extra special, all of the beautiful romantic themed rooms feature your very own bathroom with power shower, roll top bath (except where noted) and luxury toiletries. Fluffy robes and slippers are provided to keep you both cosy and a fridge for all your beverage provisions. One of the charming & themed hotels UK. Hotel Pelirocco is Brighton’s sauciest boutique hotel; inspired by the best of pop’s subculture, maverick musicians and some of the most inspiring individuals – you won’t find a better place for your dirty weekend in the UK. With it’s themed hotel rooms, Hotel Pelirocco is guaranteed to tickle those quirky taste buds of any pleasure seeker looking to try something new. One of the unique themed hotels UK for romantic vacation or romantic weekend getaways in UK. 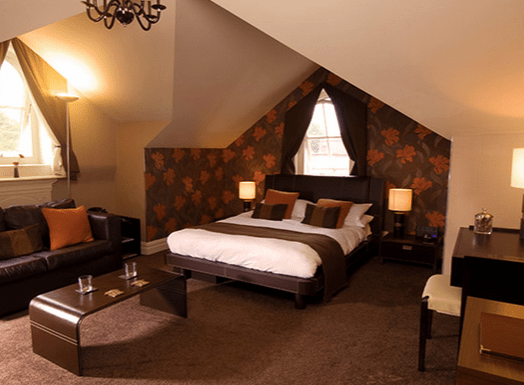 The Dukes Folly Hotel is a rooms classical antique boutique hotel situated right in the heart of Southport, North West England, near Liverpool. It is difficult to find the actual age of the building, but the very first record of it was found in 1861. Besides its ancient traditions and history, the themed rooms Hotel is well maintained and run, with rooms full of character and comfortable beds it is an inspiring environment to be in. 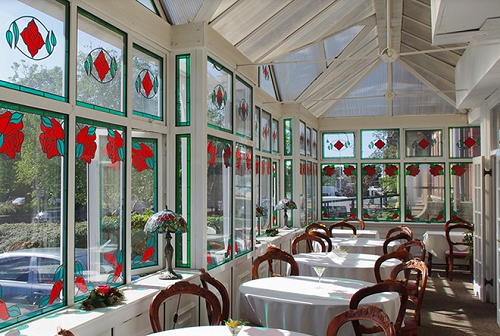 Together with deliciously prepared and hearty breakfasts, the hotel’s attitude is to serve the customers. One of the unforgettable & historic themed hotels UK for unusual & unique romantic getaways UK.